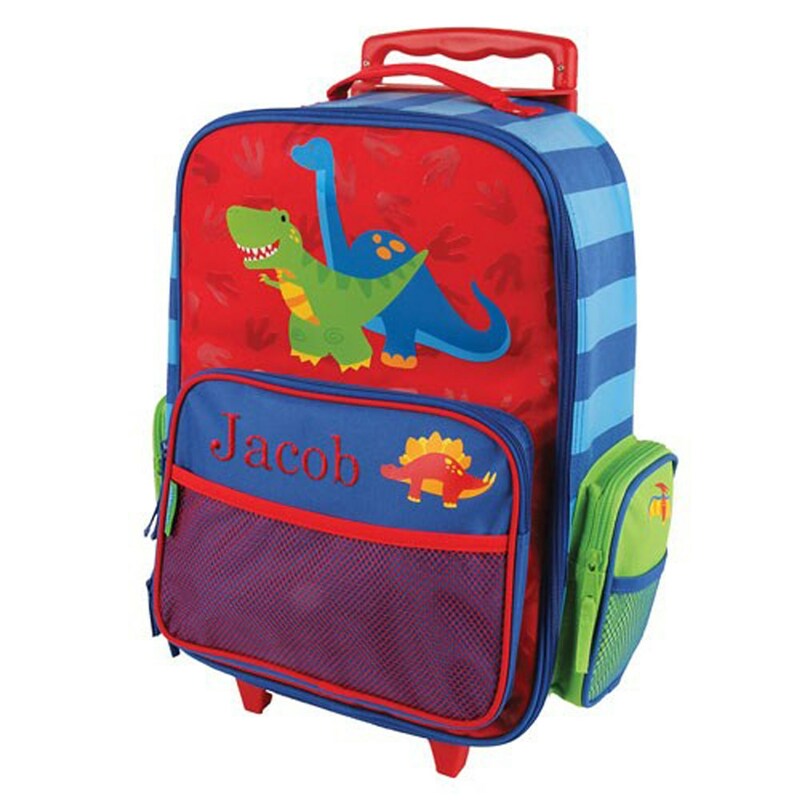 Your dinosaur lover will love to pack their own bags and get moving with a personalized dinosaur rolling luggage. Embroidered with Any name and Choice of embroidery thread color, your little lover will be on the go in no time. Create a collection with our other dinosaur products, sold separately. Absolutely what I wanted. Grand daughter hasn’t let go of it yet. Loved it! great quality! Thank you!